"Griffith achieves clinical excellence through a combination of rigorous philosophy and intuitive skill." Homeopath with more than 20 years of experience and the originator of many meditative provings. Janice has guided and inspired the meditative provings from the very beginning. She normally takes responsibility for the participants and overseeing the well-being of each member of the circle while guiding meditation and receiving information herself. "Do not be afraid. Go out and be creative practitioners, for when we freely go with what is meant to be, the spirit of the age is with us." We are delighted to offer you the rare opportunity to experience a meditative proving during the homeopathic residential week with Colin Griffith, Janice Micallef and Bella Griffith. Janice usually leads meditative provings with a closed group of homeopaths who have been working together for 20 years. Once in a while Janice and Colin provide the chance for other homeopaths to have the experience of being part of a new meditative proving. This is the first time in 5 years you will have this opportunity. Janice and Colin, with the late Martin Miles, have collaborated since 1994 in a systematic programme of provings of new remedies directed toward supporting existing remedies, the endocrine system and subtle anatomy. These new meditative remedies work so well to meet the needs of our 21st century patients. Meditative provings, despite initial scepticism, have gained credibility amongst many different teachers world wide. In clinical practice these remedies, such as Ayahuascha, Sycamore Seed, Buddleia, Thymus Gland, Emerald and many others, are proving invaluable to match the sheer complexity of today's patients' needs. The intention of this week is to inspire your expansion and transformation on many different levels – intellectually, physically and energetically. The aim is to assist you to develop and transform your way of looking and understanding the patient's and your own journey, with the sense of homeopathy as an evolving, dynamic energy medicine.
" The paradox of conducting an experiment with sources of ancient energy - and crystals, trees and spiders are certainly ancient - is far from limiting us to the past; it is a way of liberating us for the future. " * The rare opportunity to experience and be part of a meditative proving of a new remedy under the gifted guidance and supervision of Janice Micallef, an experienced homeopath and pioneer in this field. * Daily lectures with Colin Griffith, renowned teacher and respected homeopath, who will generously share his knowledge of new remedies and explain how these can be used to tackle our more challenging cases. * Daily Chi Kung exercises with Bella Griffith, aimed at giving practitioners tools for grounding and boundaries, cultivating awareness of our own energy. * An opportunity to take time out, to simply be, treat yourself and recharge in an incredibly peaceful and harmonious environment which has been energetically charged by the use of carefully placed crystals throughout. * Time to explore the five acres of glorious gardens which are listed in The Daily Telegraph Good Gardens Guide and a further 50 acres of surrounding grounds; swim in the outdoor pool (weather permitting), play tennis, enjoy morning yoga. * A chance to enjoy the Labyrinth, which holds unique qualities and is filled with a sense of tranquillity and ageless beauty.
" It is this same poetical desire in the creative process that can be awoken and renewed with the process engendered in ongoing (meditative) provings, for it remains a unique form of exploration that serves to illuminate the fundamental relationships between the various levels of reality, including the spirit, man and nature. " Tofte Manor is not a hotel but remains a home and opens its doors only to others wishing to do inspirational work and for very special occasions. It is set in the heart of beautiful Bedfordshire countryside, 60 miles north of London and is easily accessible by road and rail. The 16th century interiors have been lovingly restored to offer beautiful accommodation - home from home! The accommodation comprises of en-suite twin bedded rooms and twin bedded rooms with shared bathrooms. All have been designed in both a traditional and contemporary style, with excellent attention to detail to ensure your comfort. Rooms will be allocated on a first come first served basis. Deliciously nourishing meals made by the in-house staff using the freshest ingredients, organic and locally produced where possible. Breakfast, lunch, dinner and teas. These will be enjoyed communally in the 16th century dining hall or al fresco. Water plays an important part of the energy at Tofte Manor. All the water used on the property has been energised and purified through the Labyrinth and imploded water devices. 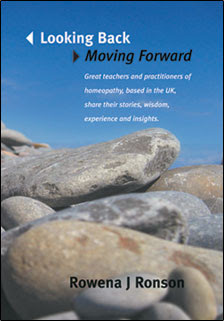 "What we want to do is develop them [homeopaths] into healers with knowledge of other things that they may find helpful. The more practitioners understand spiritual philosophy, the more effective they can be as homeopaths; it goes hand in hand. As one learns to see much deeper into one’s patients, one is able to do much bigger and better work"